Looking to join a fun and fast-paced team? What makes us special is our friendly bunch of staff, always ready with a smile and a welcoming ‘hello’. You could be one of us. 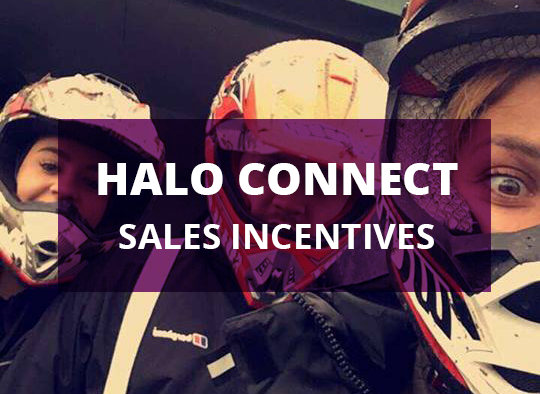 Halo Connect Solutions is always on the lookout for new talent to join our team here at HQ; so why not try your luck? Whether you’re trained in telecoms, sales or thinking you might like to give it go, get in touch; if your face fits, you’re in – we can take care of the rest. What do you enjoy most about working at Halo Connect: I love everyone that I work with and how much I have developed thanks to our managers who gave me full training on all of our products and the correct sales process. They have helped me develop my skills and are great at rewarding their staff. 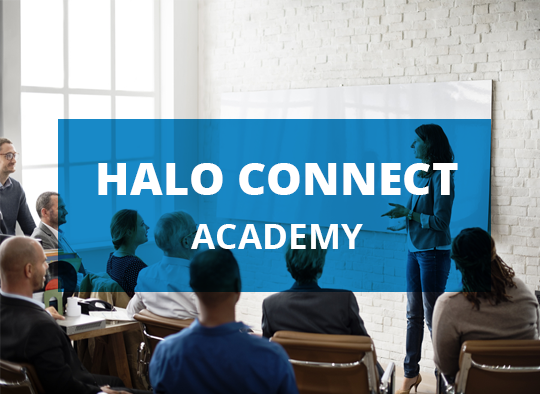 Here at Halo Connect we don’t believe in throwing people in at the deep; that’s why each of our new recruits goes through our Halo Connect academy. This is a 6 week training course designed to give our aspiring heroes all the necessary skills that they need to be successful sales professionals. Week one is classroom based, where candidates learn all about our business, products and the sales structure that they will need to follow. The remainder of the time is on the job training, honing the skills learnt in the classroom until they are ready to join one of our experienced teams. Our most successful sales agents have joined the team with little or no experience. When our staff do a great job we love to recognise success and celebrate. It’s important to us that our employees feel appreciated for the hard work they put in, that’s why we run monthly incentives giving them the opportunity to take part in activities such as white water rafting and quad biking. We also have our Employee of the Month award; this is given to individuals for going above and beyond the call of duty. We even have a dedicated wall in the office to show off your mug shot for the rest of the year! As a telesales agent your role will consist of making outbound calls offering a variety of telecoms products for some of the UKs biggest providers. The majority of calls made are contacting existing customers to offer additional services. We don’t believe in throwing people in at the deep; that’s why each of our new recruits goes through our sales academy. This is an on the job training course designed to give our aspiring heroes all the necessary skills that they need to be successful sales professionals. When our staff do a great job we love to recognise success and celebrate. It’s important to us that our employees feel appreciated for the hard work they put in, that’s why we run monthly incentives giving them the opportunity to take part in activities such as white-water rafting, quad biking and even overseas holidays. We offer base salaries between 16k and 18k DOE and as the business is growing rapidly, there is excellent career progression. Hours range between 9.15 – 5.45 Monday to Friday. No late nights, no weekends. Experience is preferred, but not essential. Outgoing, positive people thrive in our environment. Come in with the right attitude and we will teach you the rest! Come and join the Halo team for a fantastic & rewarding career in the telecommunications industry! As a Service Engineer working for a fast-growing Telecommunications Company you will be responsible for dealing with provisioning cases from the order acceptance to in service date and providing an efficient delivery of new and upgrade services to partners. You will have previously worked in a provisioning role ideally for a carrier and will have strong working knowledge of the process. As a Service Engineer you will have previous experience in a similar role, ideally from a carrier and will have excellent communication and organisational skills. You will be process and team driven when dealing with customers both internally and externally. Experience with a variety of hosted platforms will be highly advantageous. Driving Licence – and be willing to attend customer premises unaccompanied. An expanding and award-winning Telecommunications company with exciting plans for the near future; this is a fantastic opportunity for an experienced Provisioning Agent to join a reputable organisation. With excellent opportunity for career progression.